Join us tomorrow night, April 17th from 7-10pm for the opening reception and celebration of GUTS! This unique exhibition features new artwork, prints, and originals by 60+ artists from around the globe. Artists have made a variety of fiber sculptures, hand-sewn details, intricate illustrations, and paintings that share the truths, uncovered mysteries, and fabricated stories behind some of life's greatest questions! Artists have taken it upon themselves to investigate some of their favorite subjects- taking on the role of scientists, archeologists, and detectives! 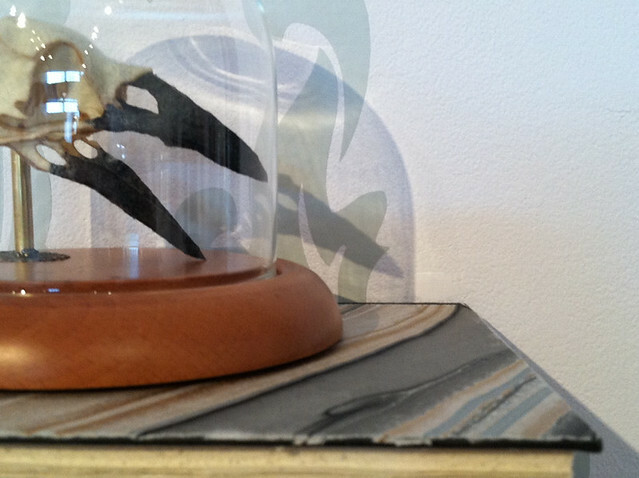 The GUTS exhibition features a collection of new work by guest artist, Lana Crooks! Lana is a Chicago-based artist and curator who has been working with us over the past couple days to hang her 15ft wall installation filled with tiny treasures, hand-felted skulls, cut wood pieces, and more! You will be able to see all of Lana's work available this Friday at the opening and on our online shop! Keep an eye out for special artist interviews and features. If you are local and attending the opening, Lana will be here to say hello! 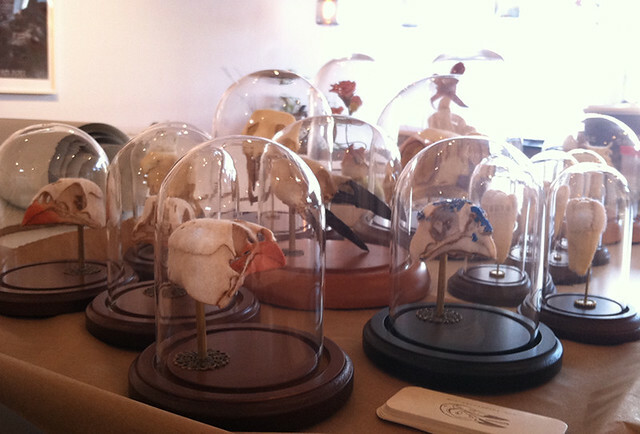 Here is a detail of some of her handmade specimens! You can find more information, the list of contributing artists, and invite friends on the facebook event page here! We hope to see you tomorrow night!